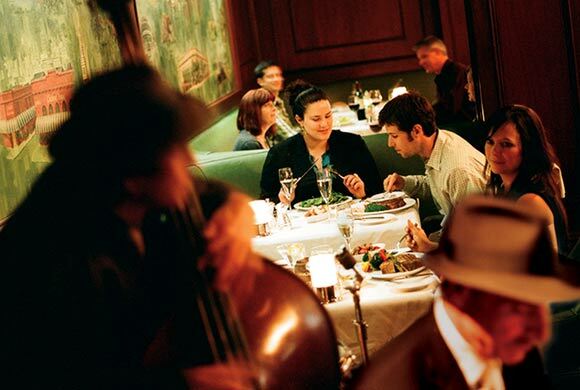 the landmark address of 2100 Van Ness Avenue has hosted some of the finest meals on the west coast. Opened in 1984, Harris’ continues the rich tradition of luxurious dining in a warm, comfortable, sophisticated environment. Harris' Restaurant has served the finest midwestern beef available on the West Coast. Executive Chef Michael Buhagiar has created our award winning menu, which offers a wide selection of aged beef including our signature dry-aged Porterhouse and Harris’ bone-in New York steaks. Our steaks are prepared by our in house butcher and grilled to perfection. Harris' also offers a variety of appetizers, salads and soup to start your meal in addition to Maine Lobster, Lamb Chops, Salmon and Chicken entrees. Finish your dinner with Pastry Chef Alana Wind's classic and seasonal desserts.